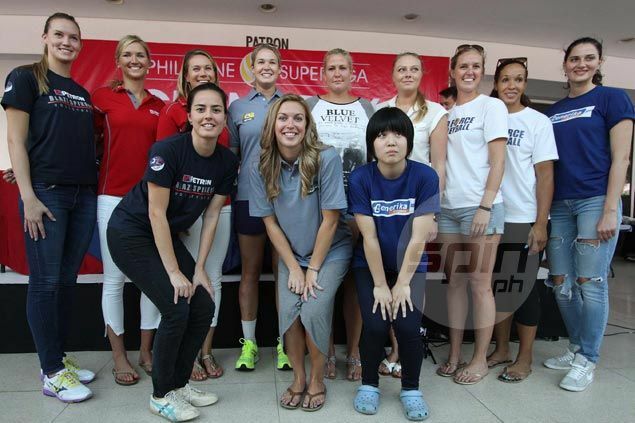 A NEW champion will be crowned this time in the Philippine Super Liga Grand Prix. RC Cola and Cignal look to bounce back from frustrating finishes as Army, the only team to win in three PSL women’s tournaments, skips the Grand Prix to focus on its V-League stint. PLDT is also not entered in the tournament because PSL this time is not allowing teams to play in two leagues to avoid conflict schedule and injuries to the players. But Foton and another new team Mane and Tail are vying for honors, while a revamped Generika team will also see action along with Petron. RC Cola and Cignal face off in the opener at 2 p.m. on Saturday at the Araneta Coliseum. Generika and Petron clash at 4 p.m.
Runner-up in the All-Filipino Conference, the RC Cola Raiders are confident of making it to the top this time. “We are confident na maganda ang ilalabas ng team ngayon," said new RC Cola coach Rhovyl Verayo, who replaced Aying Esteban. “Because ’yung Air Force buo, matagal na, hindi kami galing kung saan-saan nasa iisang trabaho lang kami so pwede kami mag-ensayo kahit anong oras tapos maganda na ang bonding namin sa dalawa naming imports," he added. The Raiders’ core of Maika Ortiz, Judy Ann Caballejo, Rhea Dimaculangan and Liza de Ramos will be backed by American imports Emily Brown and Bonita Wise. Generika will have the core of the Air Asia line up in the previous conference led by Abi Marano, Paneng Mercado, Cha Cruz and Michele Gumabao, with Japan’s Miyu Shinohara and Russia’s Natalia Korobkova as imports. "We consistently train specially with the import medyo naga-adjust lang," said Generika assistant coach Benson Bocboc. Returning import American Kaylee Manns will join Kristy Jaeckel at Mane and Tail, while Petron will have Alaina Bergsma of the US and Erica Adachi of Brazil. Cignal has tapped Americans Lindsay Stalzer and sarah Julie Ammerman. PLDT eyes back-to-back men’s titles, while looking to steal the show are last conference's runner up Cignal, Maybank, Bench/Systema and Cavite Patriots. The champions will represent the country in the Asian Club Volleyball Championship. The men's winner will compete in Kazahkstan, while the women's squad will see action in China.